Playoff Preview: Avalanche vs Flames - The Point Data-driven hockey storytelling that gets right to the point. 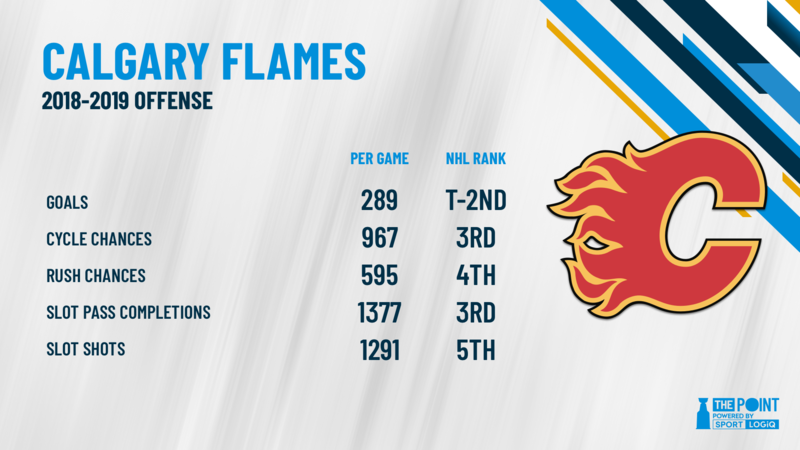 As the top team in the West, the Flames had no issue scoring goals this year. They were the only team to feature five players with 70+ points, finishing tied for the second most goals for. They create in all situations and have a deadly top line of Johnny Gaudreau, Sean Monahan, and Elias Lindholm. Defensively, they’ve been even more impressive. Led by Vezina Trophy finalist, Mark Giordano, the Flames have one of the best defense corps in the league that can shut down the opposition and chip in on the offense. They’ve given up the least amount of shots against this year by shutting down their slot and limiting dangerous opportunities. Calgary finished with the second best-record and should be considered a true cup contender as one of Canada’s best chances to win a Stanley Cup. Since the Trade Deadline, Colorado has been a top-10 team, even with Mikko Rantanen missing the last eight games of the regular season. 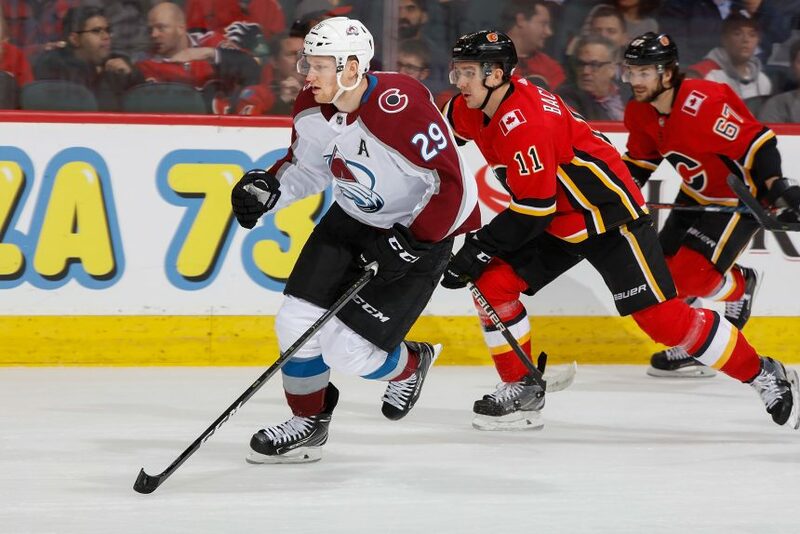 Nathan MacKinnon paced their offense with 99 points, eclipsing 40 goals for the first time in his career and he’ll need to be at the top of his game to knock off Calgary. 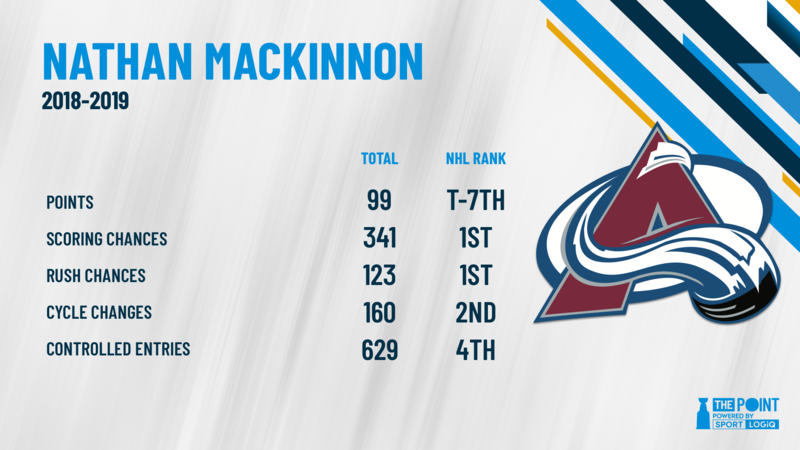 MacKinnon is deadly off the rush where he’s created more scoring opportunities than anyone else in the league. 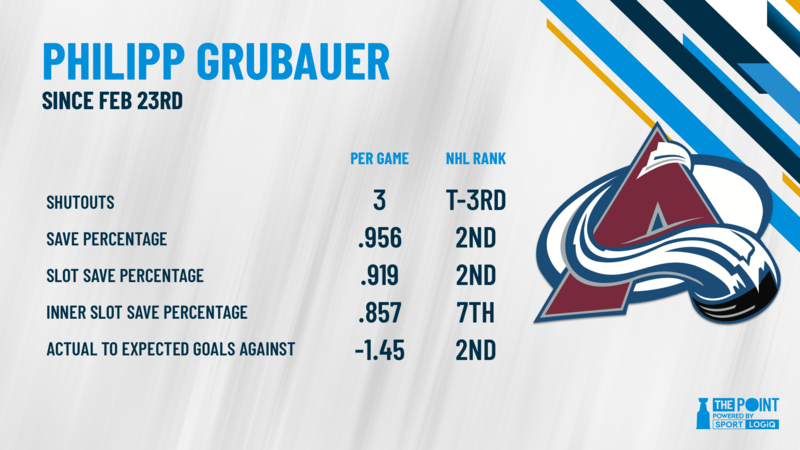 One of the biggest reasons the Avs have been so dominant down the stretch has been the play of Philipp Grubauer. If he can keep up his unbelievable play, he might just steal the series for them.